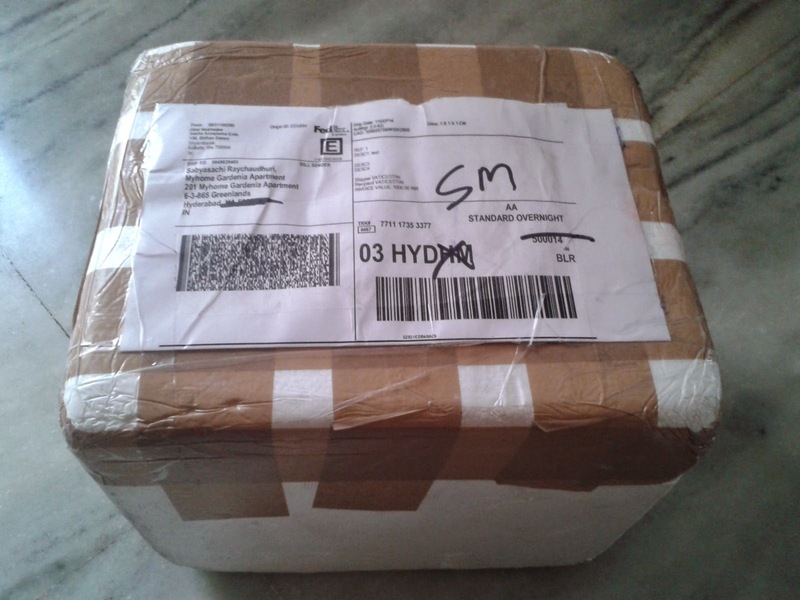 A few years back, Pista House started delivering the Hyderabad’s own haleem all over India by courier. 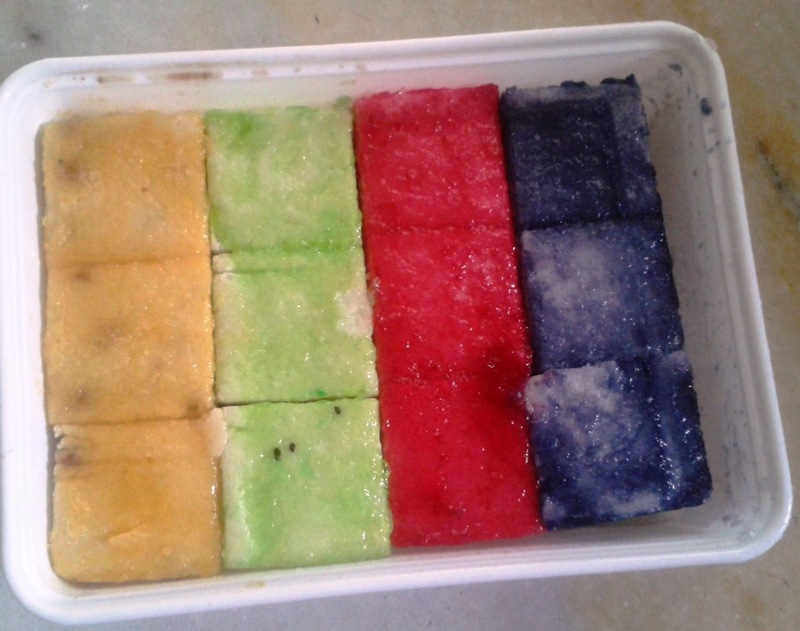 At that time, my wife, who is a huge fan of Bengali mishti wondered if Kolkata sweet shops will be enterprising enough to deliver their sweets in a similar way to all over India. This year Mysweetstore.in has answered to the prayers of millions of fans of Bengali sweets. Now the best Bengali sweets from iconic sweet shops from Kolkata can be ordered on the web and delivered at your doorstep within a couple of days. The detail of this web store was forwarded to me by a friend in Kolkata. 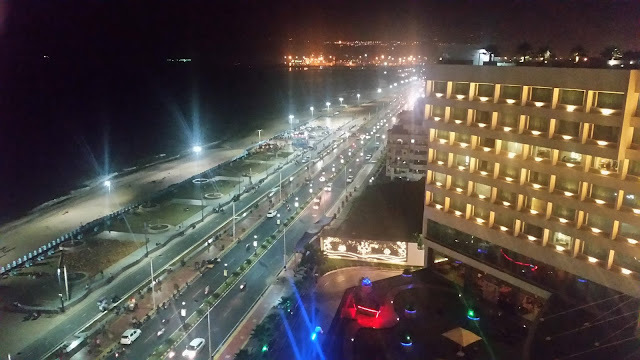 As I looked at the web site, I found that they are delivering from three premier sweet shops of Kolkata - Balaram Mullick, Nakur and Mithai of Park Circus. For Balaram Mallick they are offering about 15 types of sweets, the well known ones being Jalbhara Nolen Gurer Sandesh, Danadar, Baked Rosogolla as well as Mishti Doi. Nakur offers many variants of their famous sandesh – including both traditional talshash and new age fusion sweets like Chocolate and Black Forest Sandesh. Mithai has their famed Malai Chamcham as well as their Sada Mishti Doi. 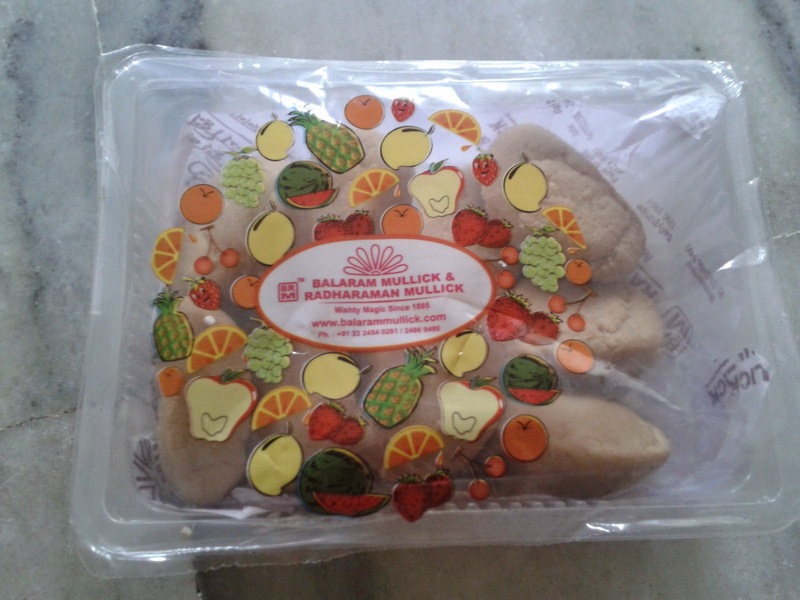 I picked up two variants of sandesh – Jalbhara from Balaram Mullick and Fruit Flavored Naram Pak Sandesh from Nakur. The checkout procedure allowed me to specify a delivery date which was a Saturday for my convenience. The sweets were neatly packaged inside a big box. I am a nolen gur buff and tried the Jalbhara first. 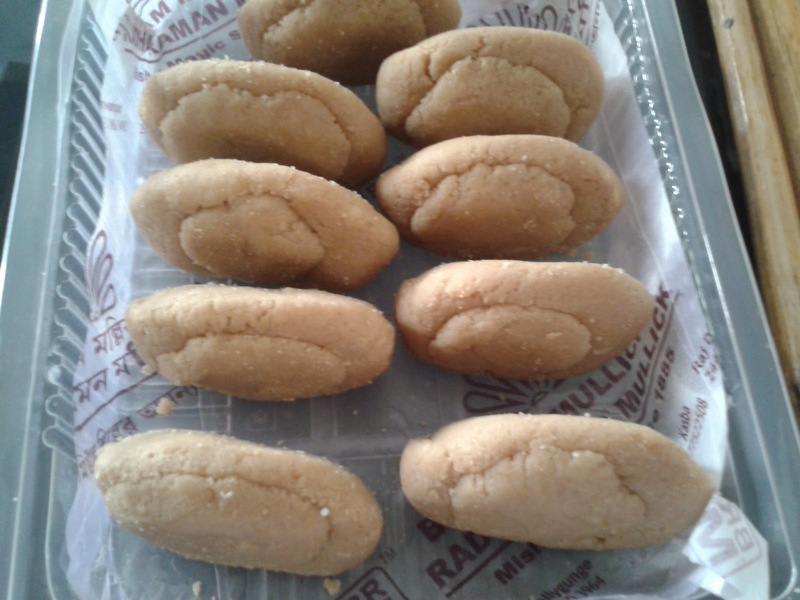 Anyone who has tasted this beauty from Balaram Mullick knows that it is one of the best sweets available in Kolkata. It felt good to discover that the sandesh tasted quite fresh, as if it was bought it in Hyderabad itself. I was more apprehensive about the Nakur sandesh since it was the naram pak or soft version. 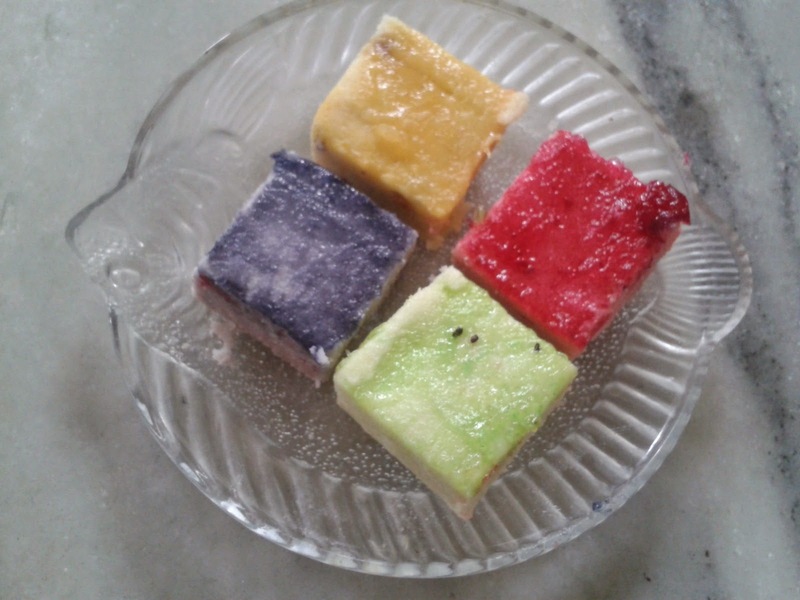 There were three each of mango, strawberry, butterscotch and kiwi sandesh. I had asked for it as I had not tried the concept of fusion sandesh before. Here again, the box of sandesh passed my test. It was fresh and delicious, and I kind of liked the different flavors they had. The web site thus provides a good opportunity for probasi Bengalis (bengalis outside Kolkata) as well as the lovers of Bengali sweets to get their favourite Kolkata sweet delivered via Fedex. They also have the concept of Combo Packs where 2-3 varieties of sweets are combined to give a better deal. For economies of scale, it makes sense to order a bigger quantity. For example, the pack of 20 Jalbhara costs Rs 675 (Rs 34 per piece) whereas a Nolen Gurer Sandesh in Bikanervala Hyderabad costs Rs 35. Bigger quantities for parties or get togethers may work out even better.